The Graceway IGA on Leeward Highway, Providenciales. 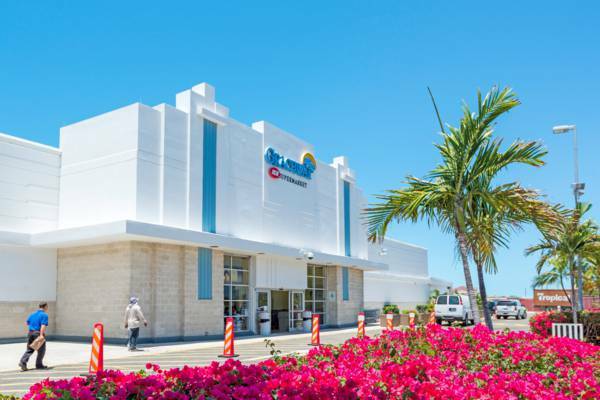 Centrally located on Providenciales at Graceway Plaza on Leeward Highway, this is the largest supermarket in the Turks and Caicos. Along with a full selection of grocery and alcohol, this store also offers prepared food and an onsite coffee shop. Graceway IGA, Providenciales, Turks and Caicos.